Creating Your Own Alexa Skills Is Now Super Easy. Here's How to Do it. Good news for people who live among the machines: You can now create your own Alexa skills with Amazon's new Alexa Skills Blueprints program, and you don't need to know anything about coding. Previously, you had to rely on the Amazon Skills Marketplace and perhaps Gordon Ramsay to acquire new tricks for your Amazon Echo or other Alexa-enabled device. Or, if you had a knack for programming, you'd build your own. But with the new, easy-to-use feature, you're at the helm and able to make Alexa an even more essential part of your daily routine. Plus, you can make it cater to your bizarre whims, if that's your speed. Here's how to create your own Alexa skills using the new Blueprints tool. The abridged explanation: it's a way for Alexa users to program their own skills by simply writing them into Amazon's Blueprints website. Upon navigating to the site, you'll notice multiple "blueprints" that fall under various categories, such as Fun & Games, Learning and Knowledge, At Home, and Storyteller. Ultimately, it's a way to expand Alexa's capabilities beyond what it can do out of the box. This is essentially a fill-in-the-blank exercise. Each skill has a template that asks specific questions. Before you get started creating your own skills, make sure to check the additional details, which explain how the skill works and how to use it. The gamut of skills is pretty vast, and the difficulty of programming them varies accordingly. For example, there's a Babysitter skill that can cater to all of your childrearing needs when you've hired someone else to look after your kids. For that skill, there's a bunch of criteria, so you'll have to fill in information like your kid's daily schedule, allergies, emergency contact info and how to find things around the house. This is also true of the Pet Sitter skill, and House Guest skill, which require a bit more personalized detail. In total, there are 21 skills, but Amazon claims there are more on the way. 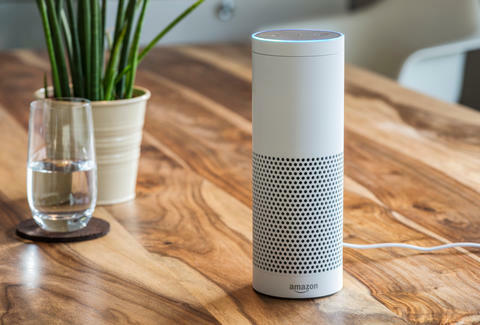 "You don't need experience building skills or coding to get started," Steve Rabuchin, vice president for Amazon Alexa said in a statement upon the release of Blueprints. "My family created our own jokes skill in a matter of minutes, and it's been a blast to interact with Alexa in a totally new and personal way." With this in mind, you should be programming away in no time. But don't forget to have fun. After all, Alexa is wont to her quirks.